It’s past winter time, and you suddenly see black spots on the floor of your bathroom. Before you realize, it’s going to be everywhere: ceramic grouts, ceiling, shower, or bathtub. What are exactly those black spots? The biggest possibility is that the bathroom has developed black mold. 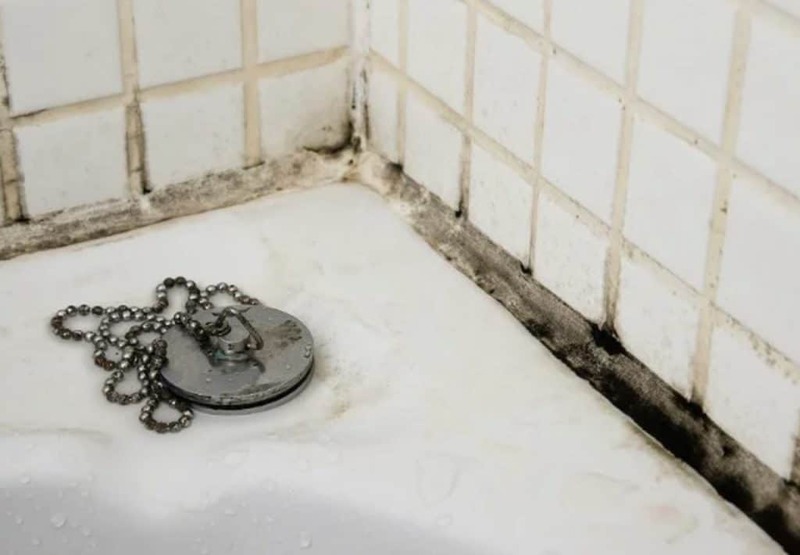 If it is left untreated, black mold in bathroom may cause troubles from health problem to the chance of injury because it tends to make the floor slimy. Not to mention that it also disturbs the aesthetic look of the area. Learning how to get rid of mold in the bathroom should be the immediate response when you see the signs. If the interior of the bathroom has bright colors, it would be easy to spot the black mold inside the area. One of the first signs that can be detected is the smell. A bathroom that is infected with black mold is most likely to have a musty and pungent smell. Mold spores can decompose materials; the smell comes from the rotting material that is affected by the mold. Another sign that you can see is the surface of the ceramic flooring and wall. If there is mold present, there may be black spots on the grout and would feel slimy when touched. On worse cases, the ceramic floor may feel unstable and soft when stepped on. Soft and discolored wall and ceiling can also be the sign of black mold in bathroom. If those signs occur, you may need to check other areas, too, to see if there is any black mold in shower, bathtub, or toilet. In some cases, bathroom mold removal requires professional help. Many species of mold can grow in the bathroom. The black mold is scientifically known as Stachybotrys chartarum. It tends to rapidly grow on a moist, dark, and cold environment—which is perfectly provided by bathrooms. The most common bleach that can be found contains chlorine. It is a highly oxidative agent that is also antibacterial and antifungal. Bleach is usually used to sterilize an area such as the hospital floor, swimming pools, and bathroom. However, bleach is also hazardous if it gets inhaled to the lung and gets in contact too long with hands. Just like bleach, hydrogen peroxide is also an oxidative agent. It is proven to be effective in cleaning black mold especially in a porous surface such as ceramic grout. To use it, spray hydrogen peroxide onto the affected area and let it sit for around 10 minutes. The effervescent nature of hydrogen peroxide will work and dilute the mold. Wipe the area clean and rinse with water. As a mild acid, vinegar can kill most of the mold species. It is often used with baking soda to create a diluting effect. Though it has an acidic smell, it neutralizes the odor in the bathroom a few minutes after you finish the cleaning. For heavy mold problems, there are some things that you need to pay attention to in cleaning. First, use protection like gloves, mask, and eye goggles. Not only that the cleaning agents may be hazardous to your health, but the mold spores can also float and infect your lungs, eyes, and skin. Secondly, keep the room well-ventilated so any odor vaporing from the cleaning process would circulate with the fresh air from the outside. Take advantage of a used toothbrush for hard-to-reach corners like grout, black mold in the toilet, and shower door. The mold would come back if it’s not thoroughly cleaned. There are several things that you can do to prevent the mold from growing back. Black mold in bathroom presents because the air is humid. You can reduce it by using a dehumidifier or air conditioner. In a warmer season like summer, you may want to keep a ventilating window open during the day so that the bathroom gets enough sunlight. Don’t wait until it’s too late. Once a week, clean the bathroom with regular bathroom cleaner. Vinegar could be a big help when it comes to cleaning spots on faucets, sink, and toilet. Furthermore, disinfectant like bleach can also be applied once every two weeks to prevent mold from growing. Store-bought mold cleaner or cleaning agents like vinegar, bleach, and hydrogen peroxide should always be under the counter if you want to keep mold away from the bathroom. 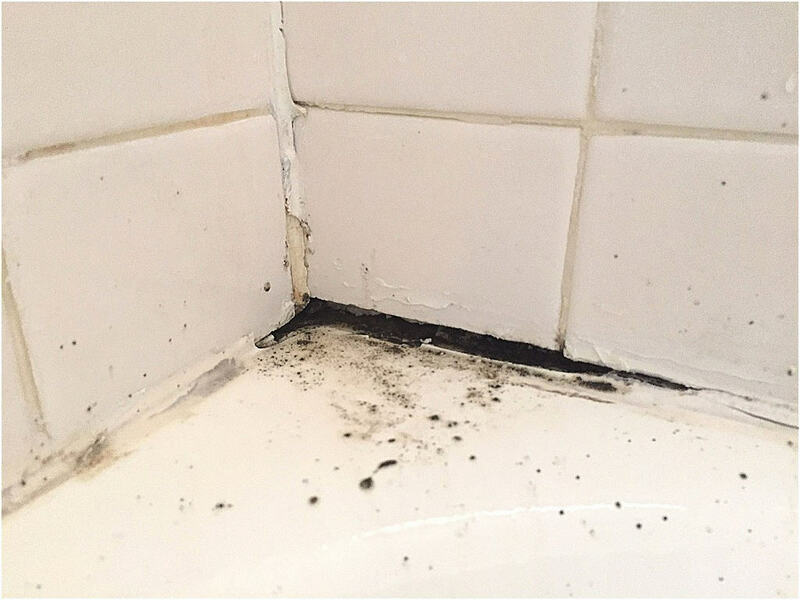 Once you see a black spot on your bathroom, get rid of it immediately so it would not have time to develop into a more serious mold problem. Mold grows fast, and you can let it grow even for a day. Keeping the bathroom dry is one of the most effective ways to prevent black mold in bathroom. A mold would not grow in a dry environment, so you need to pay attention to wet corners of the bathroom and wipe it with a microfiber towel after each use or at the end of the day. Some people like their toiletries to be easy to reach in the bathroom. Placing it around the edges of sink or bathtub may invite mold growths. To avoid it, you may want to buy a hanging rack so that the toiletries are well-organized, and the bottles are dry most of the time. Occasionally, check for the bathroom ceiling, bathtub and shower corners, and spots behind the toilet and sink. Sometimes, mold can grow in hidden places, and before you know it, it develops colonies of musty molds. In some circumstances, black mold in bathroom is hard to prevent. However, keeping the hygiene of your bathroom may be the best thing to do. If you think that the mold problem is too heavy for you to handle, contact the nearest mold exterminator to eliminate them from your bathroom. Though it may take around two to three days to finish, you will be left with a clean, mold-free bathroom.